So i can buy a Flieger Classic 36mm in 2 more month i guess , should I buy one of them now or wait more ??? If you really want the Flieger style, I would personally recommend waiting patiently and ordering the Flieger Klassik 36 when you get the chance. I have the Flieger Klassik 40 and it is a fantastic watch, so the "36" will also be stunning. Don't go for the Verus as a quick win or you may regret it. Slm643 and StevenNguyen like this. In your case, though, it sounds like you really want the Flieger. 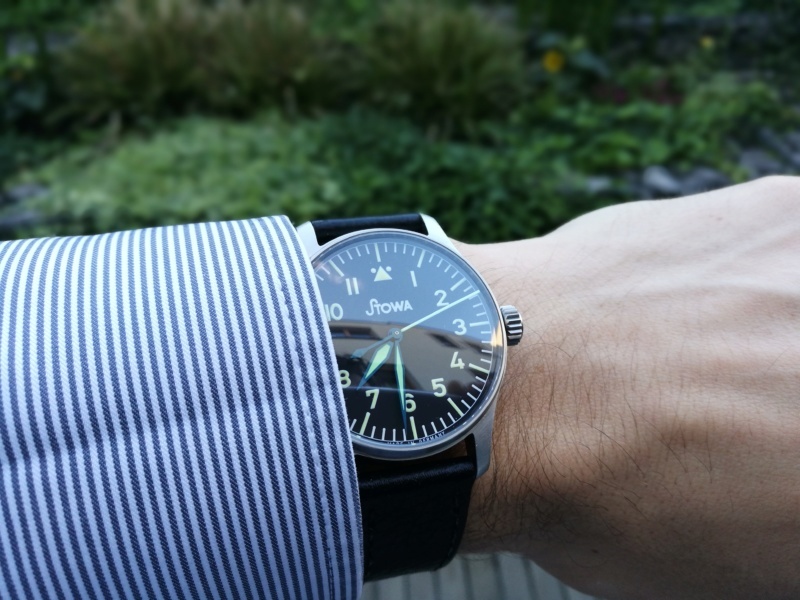 I would recommend that you save up for two more months to get the Flieger Klassik 36 too. I agree with the others,,, wait a couple months! I'm waiting till fall ! The Verus is ok for a 6"25 wrist but might be too big for 6". If what you really want is a flieger classic then wait a few months and get it then. Better than having your second choice. As an owner of a 41mm Flieger Classic 6498 and a 6.75” wrist I think you are making the right decision to wait for the 36mm model. I wish I had. thanks buddy , You also will get this watch soon . BTW , I would like to see some pics of the Flieger type A or B 36mm on wrist 6" . Shame indeed about the timing of a price increase, however I do understand why they need to do it, and a slight uptick wouldn't put me off. The price/quality ratio will continue to be very good, and these wonderful watches totally worth it, in my opinion. By the way, they only do the Type A dial in the 36 model.